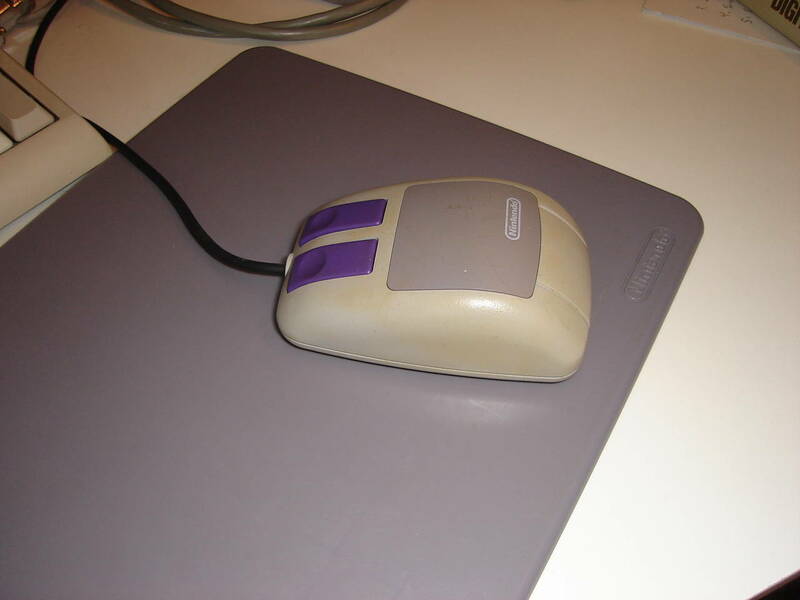 For those who dont know, Nintendo produced a mouse for the SNES. 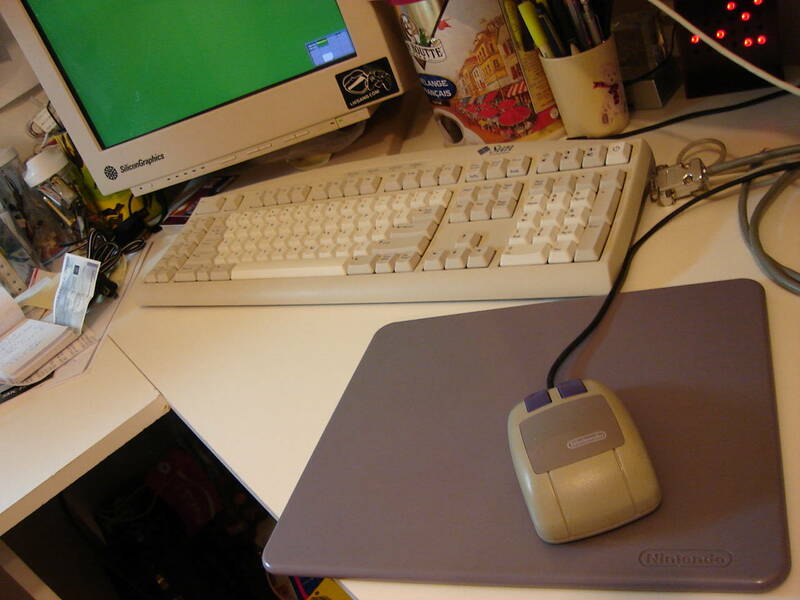 The mouse was sold with a game called Mario-Paint which was a drawing game (similar to paint brush). I still have a Nintendo mouse but I thought it was sad not to use it anymore so I found a way to use it with my PC. New: I now have an USB version of this project. The mouse is now usable under any operating system supporting standard USB HID mice. 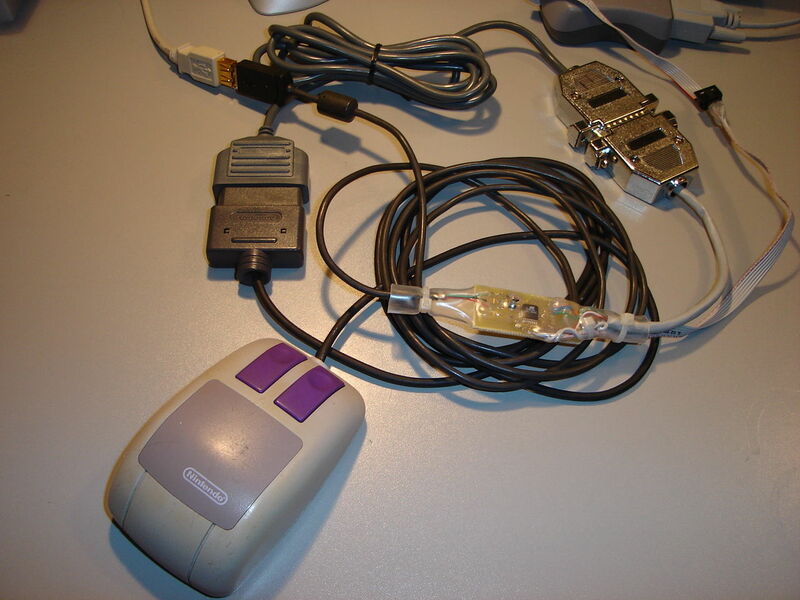 SNES/NES gamepad (and mouse) to USB adapter. The SNES mouse communicates with the SNES in the same way controllers do, but the SNES reads 32 bits instead of reading only 16 bits. The 15 first bits are identical to controller bits, the 16th bit is 0 instead of 1 (this makes it possible to detect that a mouse and not a controller is connected) and the 16 additional bits contains information on the direction and amount of movement that has occured since the last read. Note: On a real SNES, the last 16 bits are read at a higher speed than the first 16 bits. For more information, read the file Documentaion/input/joystick-parport.txt that comes with the kernel sources. If you use the mouse with mario paint, you should totally disable acceleration. Sorry, but I dont have a driver for Windows and I _will not_ create one either. If you create one yourself, I will be glad to add a link to your page or even host the driver files here.